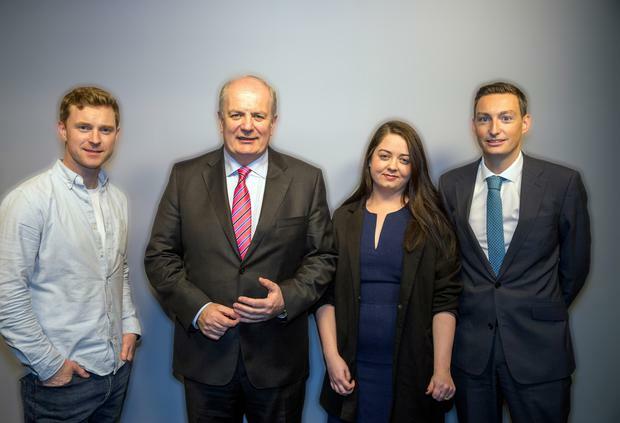 THE entry of three Dragons’ Den investors into the presidential race has helped Michael D Higgins secure his landslide lead, Gavin Duffy believes. In his most frank comments on the “bizarre” decision by himself, Sean Gallagher and Peter Casey to contest the election, Mr Duffy admitted it is “very hard to explain”. And speaking on Independent.ie’s ‘The Floating Voter’ podcast, he said the coincidence has only served to hurt all of their chances. Responding to suggestions they are working together, Mr Duffy said: “No they are not, I can confirm that. In fact, it’s dividing and diluting the vote. The businessman said he inquired whether Sean Gallagher, who finished second in 2011, would run again and was assured it wasn’t on his agenda. On the podcast, Mr Duffy also talks about why he doesn’t drink alcohol, his passion for hunting and being lucky enough to enjoy the “finer things” in life.